Santorini produces high quality wines exported to the whole world. Once being on the island don’t miss the opportunity to visit some of the best wineries, walk around the vineyards, learn about the production process, explore the cellars and taste many different kinds of wine alongside with a platter of local specialties. 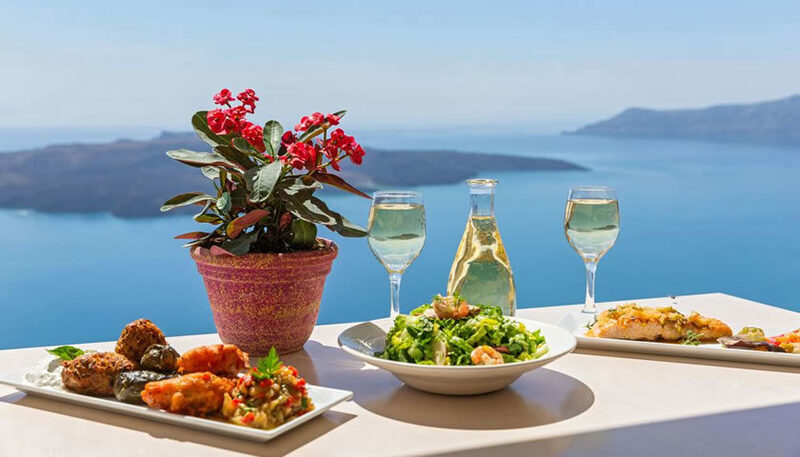 There is a big variety of wine tasting and winery tours which you can join in Santorini. The duration is usually 4 to 6 hours, led by a wine expert guide and can be in a small group or private. 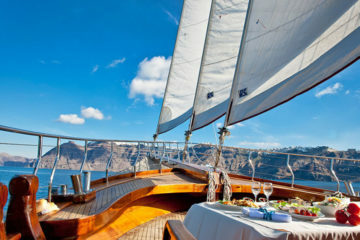 Some tours also combine wine tasting with meals, cooking classes, visits to various parts of Santorini (e.g. Akrotiri) or cruises. 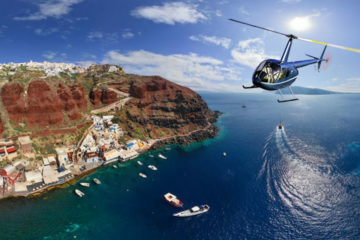 Prices for Santorini wine tasting and winery tours start from 53€ per person. You can see all the available options, details and schedules here.